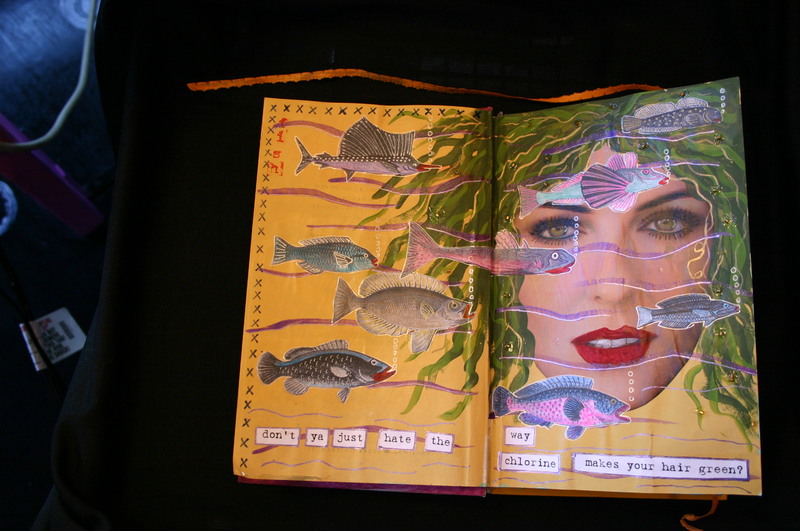 Altered book page in an Art Journal I did a few years back. This entry was posted on 05/14/2011 by pjhornberger. It was filed under altered book, altered book pages, art, art journal, Buy Art, Carmine Texas, folk art, folk art gallery, folk artist, originals, PJ Hornberger, PJ's folk art, PJHornbergerfolkart.com, Texas folk artist and was tagged with Altered book pages, art journal, Carmine Texas, fish, folk art, folk art gallery online, folk artist, mixed media, PJ Hornberger, PJ's folk art, PJ's Videos, PJHornbergerFolkart.com. All my art, my writing, all my blog content is (c) PJ Hornberger. That means it's against the law to copy, use, or whatever any of it without my permission.